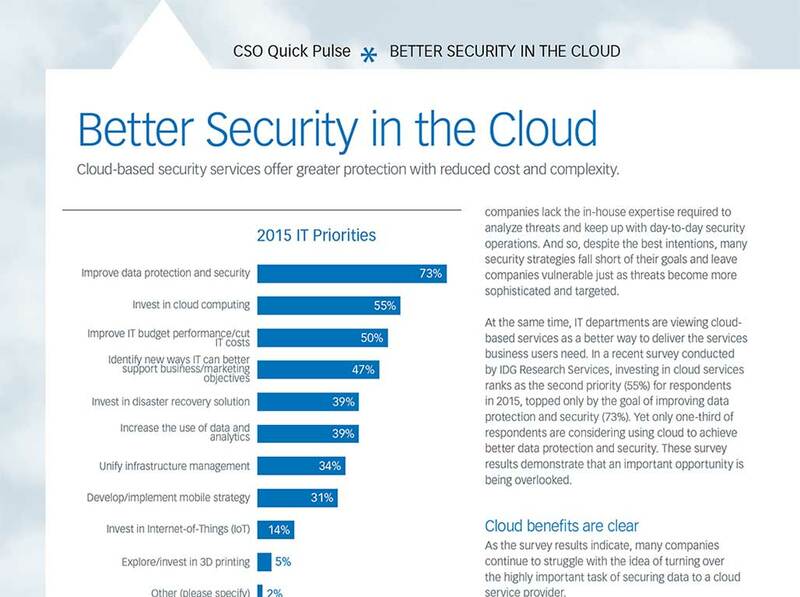 Better Security in the Cloud | Qualys, Inc.
With high-profile data breaches continuing to occur across industries, security leaders are revamping their strategies to keep pace. Today, most organizations viewed cloud-based services as a better way to deliver the services they need, including data protection and security. However, they need to ensure they are partnering with the right provider. Download our guide and learn how you can get all the benefits of the cloud – and achieve stronger security! 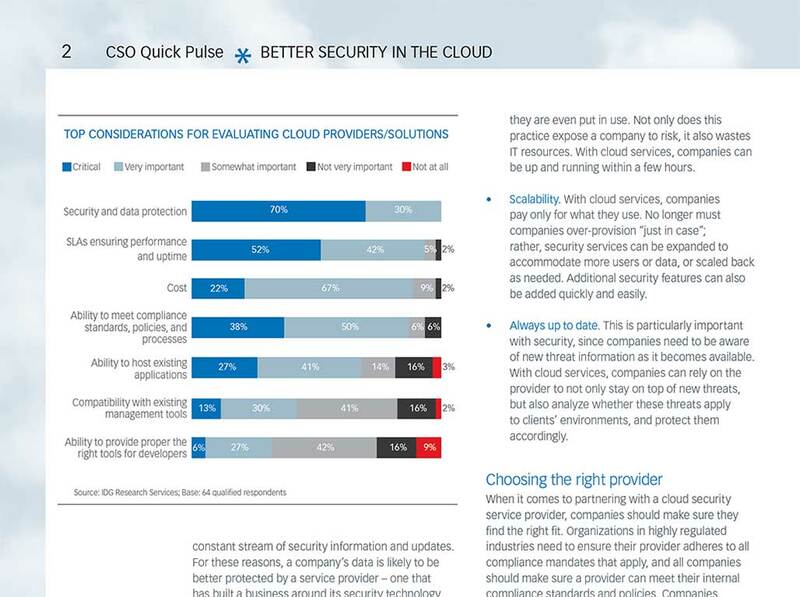 In the guide, you will learn about the benefits of the cloud as they relate to improving IT security: lowering costs, achieving faster time-to-value, scalability, and always having up-to-date security solutions. Better Security in the Cloud helps you establish a “cloud-for-security” strategy that makes sense for your organization.